A 69-year-old Seattle woman died from what doctors said they believe were rare brain-eating amoebas. 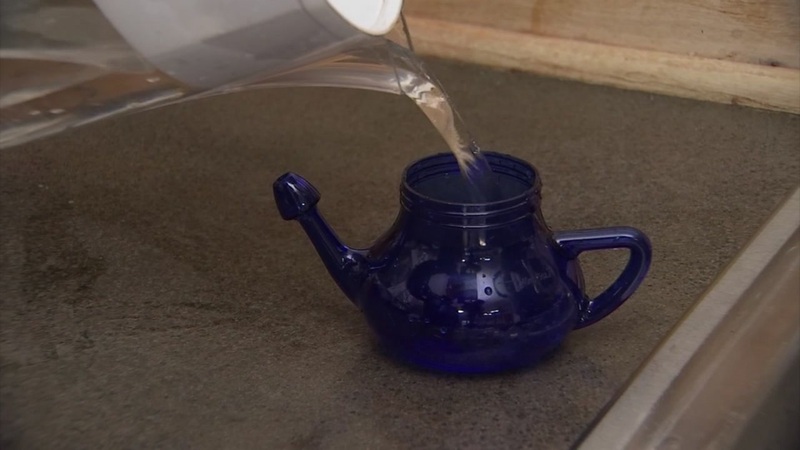 A neti pot is a teapot-like vessel used to flush out nasal passages. Health experts suggest only using distilled, sterile or boiled water to rinse sinuses. The water can contain tiny organisms that are safe to drink but can survive in your nasal passages. These infections are very rare. There were three similar cases in the U.S. from 2008 to 2017. An Ohio teenager died from a brain-eating amoeba infection after visiting the U.S. National Whitewater Center in Charlotte in June of 2017.